New research published this week in the journal JAMA Pediatrics suggests that parents who track and limit family screen time have healthier, smarter, and better-behaved children. 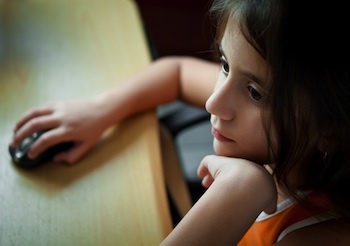 In the research study, doctors tracked the amount of screen time enjoyed by 1,323 third-, fourth- and fifth-grade students from Iowa and Minnesota over the course of 7 months. Researchers found that when parents put limits on screen time, kids saw small-but-measurable improvements in sleep, grades, positive social behavior and body mass index. How, specifically, should a concerned parent take action? For starters, it’s important to know when it’s too early for your kids to spend time alone with technology. The American Academy of Pediatrics (AAP) recommends parents “discourage screen media exposure” for children under the age of 2. For older children, the AAP suggests you set daily tech curfews, keep TVs out of kids’ bedrooms, and talk with your kids about the media content they consume.